Boots Allen is a 22 year senior guide for The Lodge of Palisades Creek and Snake River Angler. Each season he guides 100 plus days on Wyoming’s Snake River and Green River, Idaho’s South Fork of the Snake River, and in Yellowstone National Park. 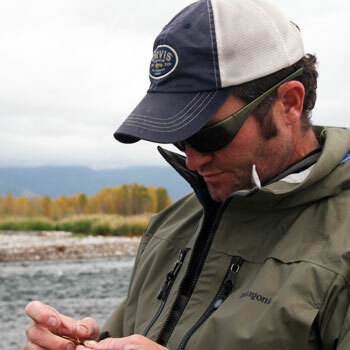 Boots Allen, a third generation Jackson Wyoming fly fishing guide, shares his secrets on fishing the Snake River. Locations, flies and techniques are all covered in this in-depth interview. Boots is a three-time high scoring guide in the annual Jackson Hole One-Fly Contest, a top scoring angler in east Idaho’s Bass on the Fly tournaments, an accomplished custom fly tier, and a writer with articles appearing in several regional and national fly fishing magazines. After completing his Ph.D in Sociology from the University of Texas in 2006, Boots shunned the world of academia and policy work so that he could focus his attention fulltime towards fly fishing. During the off-season, Boots fishes and guides around the world in places like Argentina, Costa Rica, Panama, Mongolia, Russia, Kazakhstan, and British Columbia. He is the author of Snake River Fly Fishing (Amato Publications, 2010) and the forthcoming Snake River Flies (Pruett Publications, 2013) and Modern Fly Fishing for Trout (Lyons Press, 2013).